Categories: Full Crush, Video. Tags: audio, video, Ways 1-5. 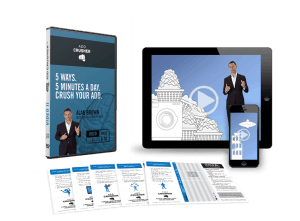 Created by a successful entrepreneur who went from mess to success using these strategies, ADD Crusher™ is highly entertaining, ADD-friendly, in-your-face instruction that’s GUARANTEED TO GET RESULTS. We ADD adults are terrible at delegating whether to other people, or to technology. But think of how great it would be to have LESS TO DO every day. Consolidation, automation and delegation are the paths to this freedom, and Way 6 shows you how to overcome the barriers to doing these three things. Desire is the starting point of all achievement, as Napoleon Hill put it. As ADD Crusher puts it, “Without desire, nothing happens. Without a burning desire, nothing BIG happens” and this strategy gives ADD adults who are weak in the brain function required for sustained motivation and the power to stay motivated. In Way 7, we slay the barriers that result in procrastination. 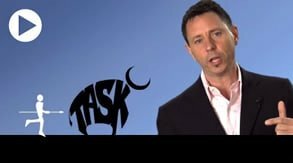 But even when we get busy with a task, we are notorious for getting sidetracked and so we never seem to finish anything. Way 8 gives ADD adults the trick to staying on task so there’ll be a lot less undone stuff left to haunt you. We adults suffering from ADHD symptoms are notorious for focusing on our failures and overlooking our successes. It’s detrimental to our progress toward our goals in life. And it’s also ridiculously illogical. Way 9 gives you the perspective AND the tools needed to score more successes. Our condition results in our being labeled negatively by others” stupid, lazy, crazy, and worse. But WE are the only ones qualified to label ourselves, and if we don’t pick the right label, it’s left to those other people. Way 10 gives you a new way to view yourself, your adult ADD, and your future potential.